The key players of the market include, Halliburton Co., Diamond Offshore Drilling Inc., Archer Limited, Schlumberger Ltd., Transocean Ltd., Noble Corporation, Baker Hughes Inc., Atwood Oceanics Inc., and China Oil Field Services Ltd.
Construction Equipment market is expected to grow from $140.21 billion in 2015 to reach $228.74 billion by 2022 with a CAGR of 7.2%. Global Construction Equipment market is expected to grow from $140.21 billion in 2015 to reach $228.74 billion by 2022 with a CAGR of 7.2%. Raising infrastructural activities around the globe, steady economic growth, and increasing investment activities from governments are the major factors fostering the market growth during the forecast period. In addition, rising population & rapid urbanization are the factors favouring the market growth. However, fluctuating construction material costs, environmental issues are hindering the market growth. By industry, public works & rail road segment commands the global market due to increasing investments from governments to develop infrastructure in their countries. By application, earth moving segment is anticipated to be a largest segment during the forecast period. Asia pacific is expected to dominate the global market with a higher CAGR over the forecast period. The growth is attributed to raising population & rapid urbanization, raising demand for better transportation and infrastructure. AB Volvo, Atlas Copco AB, Caterpillar Inc., CNH Industrial, Doosan Heavy Industries & Construction Co. Ltd., Gemin Equipment and Rentals (GEAR), Guangxi Liugong Machinery, Hitachi Construction Machinery Co. Ltd., J.C. Bamford Excavators Limited, Kobe Steel Ltd., Komatsu Ltd., Liebherr Group, Manitou Americas, Sany Heavy Industry, and Shantui Construction Machinery. Key Players in the Sand Screen market are SKF, Trelleborg, Freudenberg Sealing Technologies, Dana Holding, Federal-Mogul, Dichtungstechnik, Henniges Automotive, and KACO GmbH + Co. KG. The Oil and Gas has recently recovered from a major price crisis which saw significant fall in investments in the oil and gas market. Off late the oil and gas industry has witnessed stabilization and the prices are steadily rising which is one of the primary factors driving the sand screen market. Sand screens play an essential part in the sand screening process in the oil and gas industry. Thus with the recent increase in onshore and offshore exploration activities the increasing demand in the oil and gas industry is directly translating into increasing demand in the Sand Screens market. •	On the basis of Application as Stand Alone, Remedial or Artificial Lift Protection. •	On the basis of Well Type the market has been segmented as Land and offshore. PUNE, MAHARASHTRA, INDIA, December 22, 2016 /EINPresswire.com/ — Market Research Future published a Half Cooked Research Report on Alloys for Automotive Market. The Global Alloys for Automotive Market is expected to grow at a CAGR of about 7% during the forecast period, 2016 to 2022. Alloys are used in automotive industries for various applications such as to reduce the cost of metal and to provide mechanical strength, resistance to corrosion and reduction in overall weight of vehicle. The growing demand of energy efficient vehicles with improved overall performance and government regulations for environment safety such as reduce air pollution are major factors driving the alloys for automotive market. This study provides an overview of the Alloys for Automotive industry, tracking market segments across the categorized five geographic regions. The report provides a five-year forecast for the market size in terms of value for North America, Europe, Asia-Pacific, Middle East & Africa, and South America. The scope of the study segments the Alloys for Automotive market based on Type, Application and Vehicles. Taste the market data and market information presented through more than 40 market data tables and figures spread in 100 pages of the report. Avail the in-depth table of content TOC & market synopsis on “Alloys for Automotive Market Information- Global Forecast to 2022"
Asia Pacific region is a major shareholder of the alloys for automotive market and is expected to be leading the market during the forecast period due to increasing demand of alloys in developing countries such as China and India. North America is the second largest market for alloys for automotive followed by Europe. The existing economic environment is unfavorable for the mining industry, and customer confidence levels will remain constant in August 2016–January 2016. Companies are slightly optimistic about economic conditions in Europe and the Rest of World due to strong domestic dynamics, encouraging monetary policies, and stabilization in economies within the MENA region that were worst hit by falling oil prices in the last two years. The mining industry is expected to record higher expenditure towards new product development and research & analysis in August 2016–January 2016, compared to January–June 2016. Moreover, executives with business operations in the Rest of the World region expect an increase in machinery and equipment prices in August 2016–January 2016, compared to January–June 2016. Mining Industry Business Confidence Report examines executives’ opinion about the business environment over August 2016–January 2017. It also highlights existing economic conditions, supplier price variations, sales performance, industry and company growth outlook, spending patterns, and key priorities. Additionally, the report provides information categorized by region and presents a comparison with January–June 2016 wherever applicable. WiseGuyReports.Com Publish a New Market Research Report On – “Mining Equipment in US 2016 Market Expected to Grow at CAGR 8.27% and Forecast to 2019”. The analysts forecast the Mining Equipment Market in the US to grow at a CAGR of 8.27 percent over the period 2014-2019. Mining equipment is used to extract various natural resources from the earth. Transportation equipment, excavation equipment, and screening and washing equipment are some of the equipment used in the Mining industry. Mining equipment uses its mechanical energy to move rocks or heavy surfaces and drill holes in the earth's surface. This report covers the present scenario and the growth prospects of the Mining Equipment Market in the US market during the period 2015–2019. For ascertaining the market size and vendor share the report considers the revenue obtained from the sales of Mining Equipment services and products. The report, the Mining Equipment Market in the US market 2015-2019, has been prepared based on an in-depth market analysis with inputs from industry experts. The report covers the Mining Equipment Market in the US market landscape and its growth prospects in the coming years. The report also includes a discussion of the key vendors operating in this market. • Roberts and Schaefer Co.
• J.H. Fletcher and Co.
• Brookville Mining Equipment Corp. According to Stratistics MRC, the Global Mining Equipment market is expected to grow from $96.58 billion in 2015 to reach $181.76 billion by 2022 with a CAGR of 9.5%. Increasing mining activities to get minerals, metals, and coal is the main factor propelling the market growth during forecast period. Furthermore, increasing demand for coal to generate electricity, adoption of new technological mining equipments are the factors boosting the market growth. On the other hand, raising raw material costs, stringent government policies are the constraints limiting the market growth. By application, metal mining segment commanded the largest market share. North America is anticipated to hold the largest share in global market due to the availability of natural gas reserves in U.S. Asia Pacific is anticipated to be a fastest growing region. AB Volvo, Astec Industries, Atlas Copco, Caterpillar Inc., Doosan Infracore, Famur, Hitachi Co. Ltd., Joy Global, Komatsu Ltd., Liebherr Group, Metso Corporation, Sandvik AB, and ThyssenKrupp. 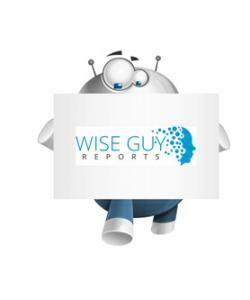 WiseGuyReports.Com Publish a New Market Research Report On – “Mining Ventilation System in China 2016 Market Expected to Grow at CAGR 12.06% and Forecast to 2019”. The analysts forecast the Mining Ventilation System market in China to grow at a CAGR of 12.06 percent over the period 2014-2019. Mining ventilation systems are used for circulation of adequate quantity and quality of air in mines. These systems include fans, airways, control devices to direct or restrict air flow, cool and filter the air, and systems for monitoring air quality and quantity. They are used more in closed mines than in open mines. There are two main types: main ventilator system and local ventilator system. This report covers the present scenario and the growth prospects of the Mining Ventilation market in China during the period 2015-2019. For ascertaining the market size and vendor share, the report considers the revenue obtained from the sales of mining ventilation products. The report, Mining Ventilation System Market in China 2015-2019, has been prepared based on an in-depth market analysis with inputs from industry experts. The report covers the Mining Ventilation System market landscape in China and its growth prospects in the coming years. The report also includes a discussion of the key vendors operating in this market.